Intumescent Strip Fitting Service by North London Locksmiths Ltd. Renting out a property or rooms in a house and you have been asked to conform to HMO (House in Multiple Occupation). 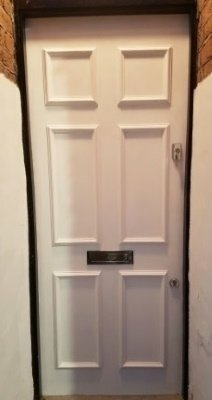 Here at North London locksmiths Ltd. we offer a fitting Service of FIRE DOORS, fully inclusive of doors, conforming to a minimum of half a hour fire check rating, LOCKS, and of course an Intumescent Strip fitting Service. WE ALSO SUPPLY AND FIT LOCKS AND FIRE RESTRICTION STRIPS, TO UPGRADE EXISTING FIRE DOORS. Our Company has been trading for many, many years and in that time have fitted many types of doors, including FRONT and INTERIOR doors. Intumescent Strip Fitting Service from North London Locksmiths Ltd. THE NUMBER "ONE" LOCKSMITHS COMPANY OF NORTH LONDON. Need to contact us and you are using a mobile device? PLUS THE FITTING AND UPGRADING OF DOOR CLOSERS AND FIRE RATED HINGES. Need to fit strips to your fire doors, as well as fitting FIRE DOORS our fully qualified fitting staff will also supply and fit Intumescent or smoke seal strips for you, to conform to HMO requirements. What is an Intumescent strip? It is a chemical designed strip, which is routed into the sides and head of a fire door and when a fire breaks out and is exposed to heat, the strip expands and seals the gap between the door the frame, this help contains the fire from spreading, thus helping to contain the fire to one area. What is a smoke seal? Smoke seals are routed into the side of the door and head of door. These seals will stop smoke passing through the gaps so that the rest of the building is not affected by heavy smoke, as smoke inhalation kills more people than fires do. When our skilled fitters do fittings of strips we normally use Intumescent strips that are combined and help prevent fires and smoke spreading. If you would like any information on our Intumescent strip fitting service, or lock fitting Service, please do not hesitate in contacting our North London locksmith office. Our staff will be happy to deal with any Lock Fitting or Door Fitting query which you may have. Our qualified Carpenters and locksmiths are available to help with all HOME SECURITY needs you may have, whether it is the Fitting of Locks or the Fitting of Doors. As well as having a first class 24 HOUR Emergency Lock Opening Service. Prevent the spread of fire, smoke and hot gases through a building by containing it in the compartment of origin. Reduce loss or damage to property from the effect of fire and smoke. Maintain pressure differential between compartments and ventilation channels. There is no need to have a plain flush fire check door fitted.....To the right is a plain solid core door, (not fitted with fibres, like a standard fire door).....We then give them a panelled effect in our work.....The final picture shows the same door fitted in situ, with locks and letter box......When fitting locks to a front door or flat door. we always use British Standard Egress locks, they are then finished with Intumescent strips. Our FIRE DOOR FITTERS will always advice you on the best locks to have fitted, for your security and safety. Call our office on 0208 800 6041 to speak to a friendly member of our Locksmith team. 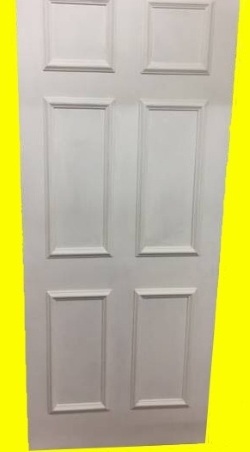 Whether you have a solid door fitted to your flat or you want it for a front door, there is no need to have just a plain door, our tradesmen can panell them up for you, to give a nice finish and if Intumescent strips are needed we will fit them at the same time. A fast reliable fitting service, offered by North London Locksmiths Ltd.....A Company which can be relied on to give a Service it promises. The Number "ONE" Intumescent strips Fitting Service of North London. WHY USE A COMPANY THAT YOU CANNOT BE SURE OF. DON'T HESITATE IN CONTACTING US FOR THE NUMBER ONE LOCKSMITH COMPANY OF NORTH LONDON.